We specialize in homes, townhomes, condominiums, luxury & upscale properties for sale by real estate agents, developers & home owners in Toronto GTA & surrounding areas. Our Mission is to apply all our working knowledge and experience to each task, so that every job becomes a success for our client. We ensure that each photographic assignment is executed with imagination, enthusiasm and attention to detail. 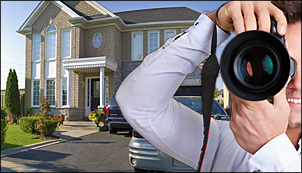 About Us: Welcome to Virtual Tours GTA Toronto Canada. Our real estate virtual tours and video tours facility is the number one choice of intelligent business owners and real estate agents who demand the best to showcase their residential and commercial properties online. We provide professional Videos and 360° home virtual tours as well as 360° commercial virtual tours across GTA and outside the greater Toronto area. We are a Mississauga based virtual tour company producing dynamic digital images, video tours and virtual tours for architects, interior designers, construction industry, trades professionals and the hospitality sector. Our high definition digital images and virtual tours are typically used for web sites, marketing presentations, corporate communications and editorial purposes. Our Virtual Tour Servicing area includes but not limited to Ajax, Aurora, Brampton, Brantford, Bradford, Caledon, Guelph, Hamilton, Markham, Milton, Mississauga, North York, Oakville, Oshawa, Orangeville, Pickering, Richmond Hill, Scarborough, Toronto and Vaughan.